The mission of the Student Alumni Association (SAA) is to connect alumni to the university and the student body by building tradition, fostering student and alumni interaction, serving the diverse needs and interests of our community, and creating opportunities for investment in Emory's future. 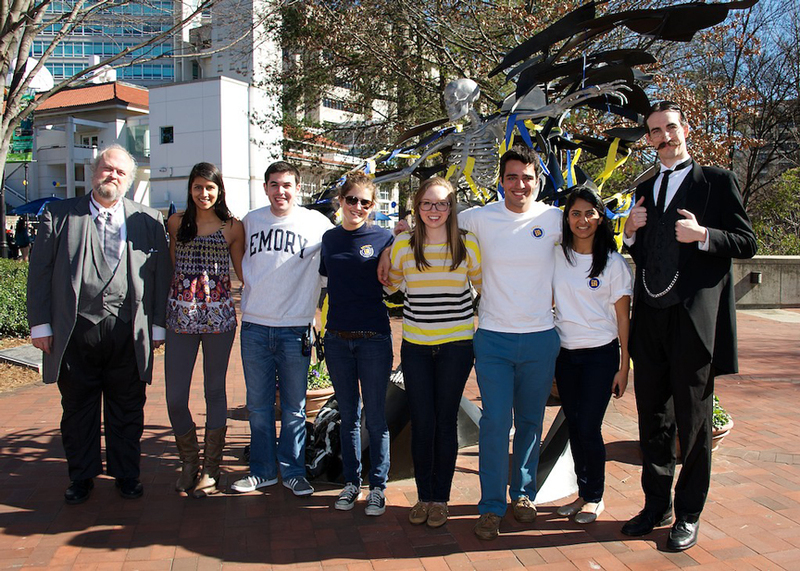 Emory’s Student Alumni Association (SAA) is the student chapter of the Emory Alumni Association. At Emory, all students who have completed two semesters are considered alumni and automatically become members of the Student Alumni Association. We do this to honor the legacy of the influential Robert W. Woodruff, who left Emory after a term to work at the Coca Cola Company. Haven’t completed two semesters yet? No problem! All students at Emory have access to most of the programs and benefits provided by the SAA and EAA. SAA programs are organized throughout the year and are lead, in part, by the Student Alumni Board (SAB), a select group of undergraduate student leaders with a passion for connecting current students with Emory alumni and who encourage students to be engaged alumni through and beyond graduation. Apply for funding and alumni resources! The EAA, SAB, and Office of the President welcome the opportunity to support programs and events organized by recognized student organizations that seek to enhance the student-to-alumni experience! The EAA provides resources based on the assessment of the organization’s application and the need determined for the program. Did you know that at Emory, students are considered alumni if they complete at least two semesters? (It’s all because Robert W. Woodruff, Emory’s most generous benefactor, only completed two semesters himself—and if you have read this far, keep going, we’re guessing there is a strong chance it applies to you). It’s a milestone and an accomplishment. We want to celebrate it. Each spring, we welcome eligible students into the Student Alumni Association at an induction ceremony and celebration. On that night, students invite a key person from their Emory community to be a part of the ceremony. And, that key person is the one to formally pin the student with a gold Emory Alumni lapel pin. Afterwards, it’s all about the party. Sit down as strangers, and leave as friends! Each semester, local alumni, faculty, and staff host or co-host dinners for a group of students (around 12) in their homes or at restaurants. These dinners are free for students and provide a great way for students to start connecting with Emory’s global alumni network! The Adulting 101 series is designed to teach students life skills and career development tactics for life well beyond graduation. From strategies that will help you tackle or land your first job to professional etiquette, our Adulting workshops take place throughout the academic year. Topics vary, but have included budgeting, moving and relocation tips, loan repayment, managing credit, acclimating to work life, salary negotiation, business etiquette, and more! Register for a future workshop on Handshake. In conjunction with the EAA, the SAB gathers nominations from students, faculty, staff, and alumni each fall for the 100 most outstanding members of the senior class. Recipients of the prestigious 100 Senior Honorary award are inducted at a special event in the spring and serve as alumni ambassadors beyond graduation! The Senior Experience Committee (SEC) organizes undergraduate senior-specific programs throughout the year that unite the fourth year class and build a lasting Emory spirit. SEC events include Adulting 101 workshops, 100 Days to Graduation, Senior Wonderful Wednesday, and more. If you’re a senior, be sure to join the Senior Experience Facebook group for exclusive invites and to stay in the loop! Unlike other networking events, Garden Greets is geared solely towards bolstering relationships between female students and alumnae. SAB and Alumnae and Women of Emory (AWE) work to make this a holistic, fun, and informative experience for young women that will range from an opportunity to build networking skills, to asking questions about work-life balance and anything in between. Look out for more information on the Emory SAA Facebook page in March! Students who have at least one parent, grandparent, or sibling who is an alumnus/a of Emory are considered Emory legatees. Emory recognizes our legacy families during Family Weekend and Commencement Weekend. Learn more about our exclusive legacy activities at the page below. Emory Commencement Weekend offers a variety of activities for graduating students including Senior Wonderful Wednesday, the International Graduation Recognition Ceremony, Candlelight Crossover, Legacy Medallion Ceremony, 100 Senior Honorary Family Reception, and more! Connect with Emory's Global Alumni Network! 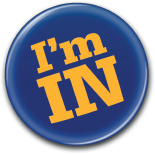 We encourage all students to create a profile in Emory Connects, an Emory-exclusive online platform and mobile application providing smart career guidance and networking communities designed specifically for students and alumni! Download the app or visit alumni.emory.edu/emoryconnects to plug into Emory’s global, influential network today! Undergraduate Emory students of all schools are invited to participate in Emory Connects: Career Discovery Days. This program is designed to help Emory students learn what “it is really like” to work in a particular job, industry or organization by providing the opportunity to shadow a professional for a day. Students must attend a mandatory one hour orientation session and fill out an application to participate. Fall orientation sessions will occur in October and spring orientation sessions will occur in March of each year. These sessions will be offered both at the Atlanta and Oxford campuses. Login to Handshake to view the times, dates and locations. Students are invited every February to join the Caucus of Emory Black Alumni for Reality Is, a signature networking event that has connected Emory’s minority students and alumni for more than two decades. The program is designed to introduce alumni to current students and, through stories, advice, and friendship, to empower current students to make wise decisions about their career discernment, job search, graduate school options, and making the best of their final semesters at Emory. The Emory Student Alumni Board and Alumnae & Women of Emory host ConnectHer (formerly known as Garden Greets) every spring. Join current students and alumnae from a variety of industries and professions for a fun afternoon of networking and fellowship. Female students are invited to connect with Emory alumnae in different life stages and a variety of careers to ask questions, learn about their chosen industry, and start building their professional network. Emory’s Student Alumni Board and Atlanta Young Alumni group hosts an annual trivia night for current students and local alumni. This event creates an opportunity for students and alumni to connect and test their knowledge over various topics in a fun, social setting. Trivia is typically hosted by an Emory alum host and held in the spring semester. Around each Emory Founders Day (Feb. 6), the Student Alumni Board commemorates Emory at Wonderful Wednesday on Asbury Circle. This event creates an opportunity to celebrate Emory history, pride, and tradition as a community. As a bonus, the EAA sponsors activities, giveaways and refreshments. We do our best to recognize the students who will make the Emory community proud after graduation. Connect to over 149,000 alumni in the big Emory network. Find your yearbook in the archives. The Miller-Ward Alumni House is your home away from home on Emory's campus. Host your meeting, wedding, or special event here.